Kia ora, I’m Don and I am a carnivore loving eater of meat. In particular I am very fond of sausages. This blog will give my views on sausages. I am based in Wellington, New Zealand. This blog will be Wellington centric, and the sausages reviewed will reflect this. I have been a sausage dealer, but I was not very entrepreneurial. A long time ago decent sausages were hard to obtain. I used to get them freighted from the Blackball Salami Company. My biggest order was for 50kg. I then sold these sausages to friends. I had no problem moving the sausages. My business acumen could be questioned, I sold them at cost and did not have a percentage mark up. As time as past, some shops in Wellington now have a wide array of sausages. I have had the pleasure of sampling some of New Zealand’s top sausages as a judge in the Devro Great New Zealand Sausage Competition. Spending time sampling and discussing the relative merits of sausages with butchers, chefs and like minded foodies makes for a great experience – for both the mind and the taste buds. I do make my own sausages, I regard this as a hobby. People have wanted to know where they can buy sausages I have made, after some consideration I have decided not make sausages for sale. I do on occasion give them away. A couple of years ago I had an escapade while I was in the hills. This received a bit of media attention, and my writing about the event has meant that it has become the most visited post on the site, for those of you who are not great readers, there are some good photos to peruse, follow this link. 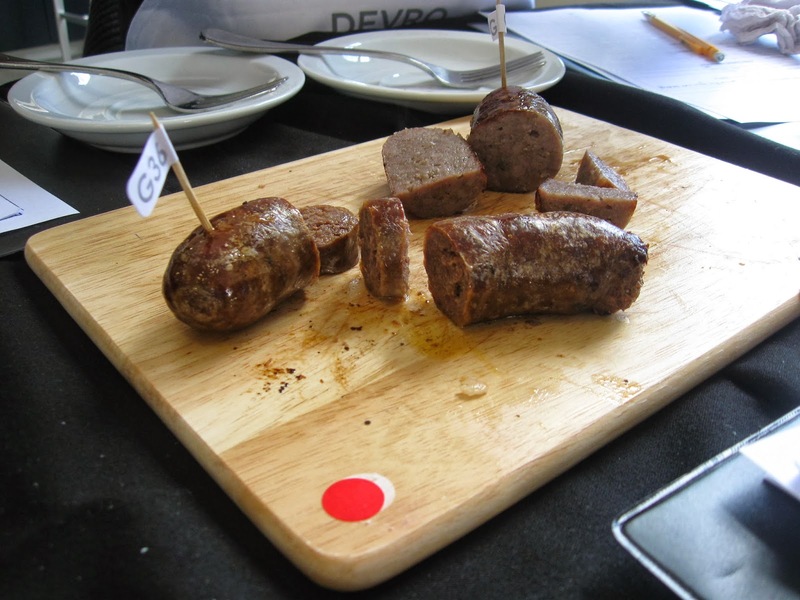 A highlight for me was as a judge in the Devro NZ Sausage Competition. Back in 2012, I decided it would be a good idea to begin writing down my thoughts on sausages, meat, beer, and life. So I started up a blog on blogspot. This served it’s purpose and I take great joy in watching the hit count on my site increase. In 2015, it reached the point where it was time to begin taking things seriously, and I began to investigate into purchasing a domain name and getting a site designed. And here we are. You’re looking at it!